Do you know the busiest highway in the world? Highway 401 in Ontario, Canada, carries about 420,000 vehicles per day. 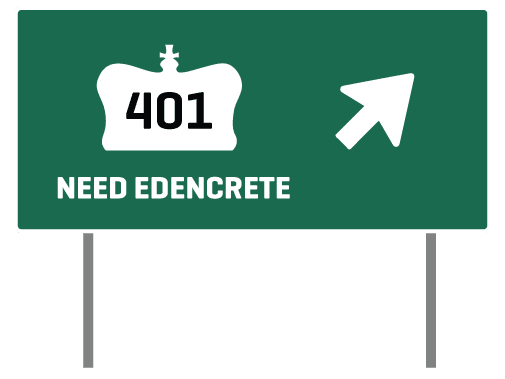 Highway 401 really needs EdenCrete®, which improves abrasion by 20% and more. Learn how EdenCrete can not only help on the roads, but everywhere concrete is. Learn more below!